This time of the year is filled with curiosity about everything new happening around us. 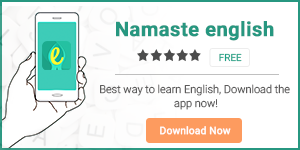 Although this list includes hundreds of new words but some of them stand out because of their uniqueness( विशिष्टता ), for example…. यह एक short form है ADORABLE शब्द की जिसका अर्थ है बहुत ही आकर्षक व प्यारा (cute). My sister’s newborn daughter is so adorbs. The Christmas decorations at the ‘coffee house’ were totally adorbs. यह एक informal expression का शब्द है जिसका अर्थ है impressive (प्रभावशाली) या Enjoyable (ख़ुशगवार). it’s used as a trendy substitution for the word AMAZING. The view of the ocean from my hotel room is just AMAZEBALLS! My younger brother threw an amazeballs surprise party on my 21st birthday. इस शब्द का इस्तेमाल किया जाता है एक ऐसी दादी मां यानी grandma के लिये जो कि बहुत ही modern और fashionable हो . In fact, any lady who is utterly fashion-conscious can be called as a glamMa. Even at this age, my grandmother is so fashion-conscious that she deserves to be called a GLAM-MA. My sister puts on so much makeup on her face that we all have given her the title of “GlamMa”. All these controversial news about famous celebrities and their personal lives on the internet is nothing but just a click-bait. These days, all business tactics are far from being genuine and more of a clickbait nature. Thanks to Jio’s unlimited data, we can now binge-watch our favorite shows, one after the other. Those who follow the motto of Y.O.L.O, they always lead a happy and content life. The YOLO mentality has made young adults much more impulsive than ever. it was estimated that Brexit would reduce the European Union’s potential GDP. Yogalates is a new popular trend in the fitness world. Doing regular Yogalates can help protect from osteoporosis. Your dress looks so fleek. In last night’s concert, the music was on fleek. in this era of post-truth politics, the common man has the real power.